Texas Bride, originally uploaded by TomK06. 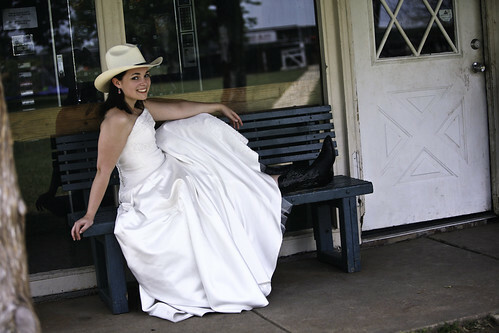 Here's something fun for Southern Gals or anyone country at heart, a white cowgirl hat for the bride in her satin white gown! It really adds a unique style to your day. This would make for a great photo (along with cowboy/cowgirl! boots) under the wedding gown. An easy way to add a little personality to a Texas wedding or Western wedding.